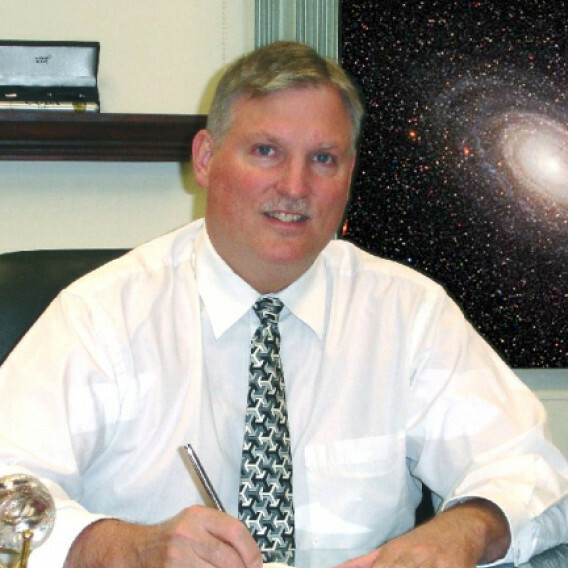 Kevin is a gifted astronomer, having worked as a consultant with NASA, the Chandra X-Ray Observatory launched on the space shuttle with the Harvard-Smithsonian Center for Astrophysics, and other ground-based observatories. Kevin won national and international awards in his field, was both a Wright Fellow and an Einstein Fellow, and did some work with Brookhaven National Laboratory. Besides the numerous workshops he's presented over the years at libraries, observatories, and science centers, some noteworthy ones include those made at Tufts University, State University of New York at Stony Brook, the National Science Teachers Association's National Convention, American Association for the Advancement of Science Breakfast with Scientists, and the National Parks Service.